Bovivet California Milk Test Liquid - 1L. The California Milk Test Liquid (CMT Test Liquid) is ideal for the detection of mastitis in milk and is it to be used in mastitis testers. 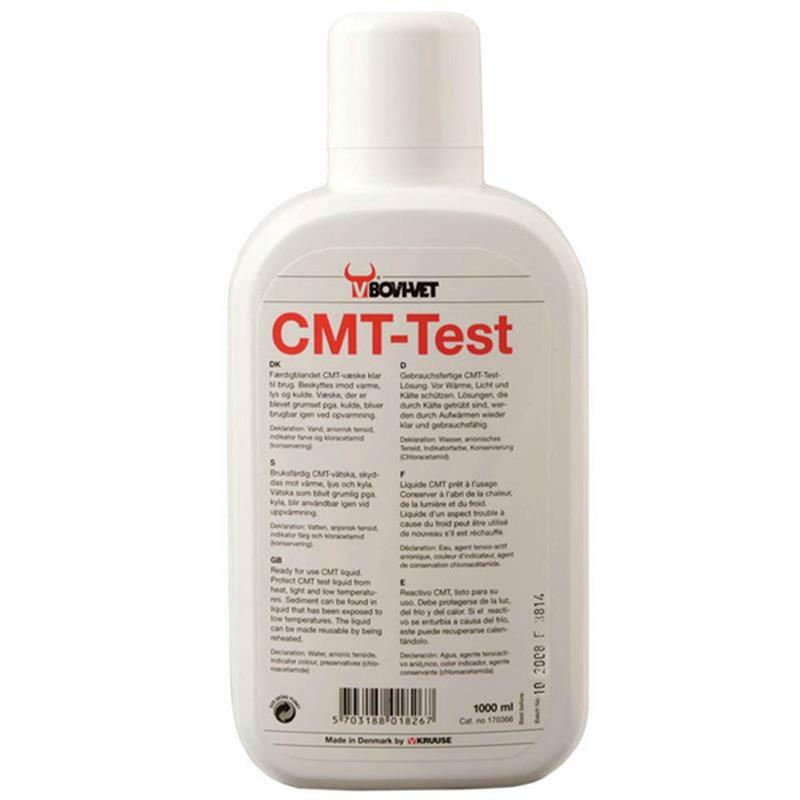 Protect CMT Test Liquid from hat, light and low temperatures. Sediments can be found in liquid that has been exposed to low temperatures. The liquid can be made reusable by being reheated.